Have some homemade baking mix in your pantry and you can make hot baking powder biscuits in a flash! These delicious biscuits are fabulous served right out of the oven, with tons of butter melting into them. They're also great for breakfast, split and filled with jam or honey. Or make them into a breakfast sandwich, with scrambled eggs and crisp bacon or hot, sizzling sausage patties. And they're perfect to serve alongside scrambled or fried eggs. When you do whip up a biscuit that everyone loves, be sure to write down the recipe, otherwise it may be lost forever. Replicating recipes from memory isn't as easy as you think! Blend the Baking Mix and the water in a medium bowl until all of the dry ingredients are moistened. Turn out onto a floured board and flour your hands. Knead the dough very gently on the floured board for about 10 turns, then pat or roll out the dough into a 1/2" thick round or rectangle. Cut out biscuits, either with a sharp knife or a biscuit cutter, and place on ungreased baking sheet. If you use a knife, you can cut the biscuits into any shape you'd like, and you won't have leftover dough. If you do use a round biscuit cutter, you will have leftover dough. Gather it up into another ball, being very gentle with it so the dough doesn't get touch, and cut more biscuits. Don't do this more than once. Put the biscuits about 2" apart on the baking or cookie sheet. 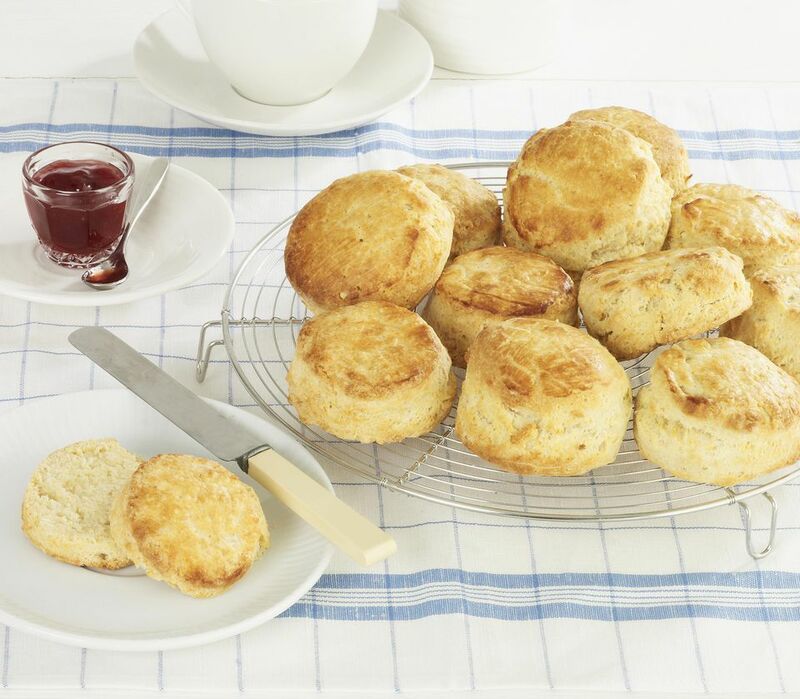 Brush each biscuit with some of the melted butter and bake for 8-10 minutes or until golden brown. Serve hot. You can add herbs or cheese to the Baking Mix before you add the water for more interest. Dill seed, or poppy or sesame seeds would be a good choice, as would dried thyme. Use about a teaspoon. Add 1/4 to 1/3 cup grated Parmesan or Cheddar cheeses. Bake as directed.